This is one of my favourite places in the world. 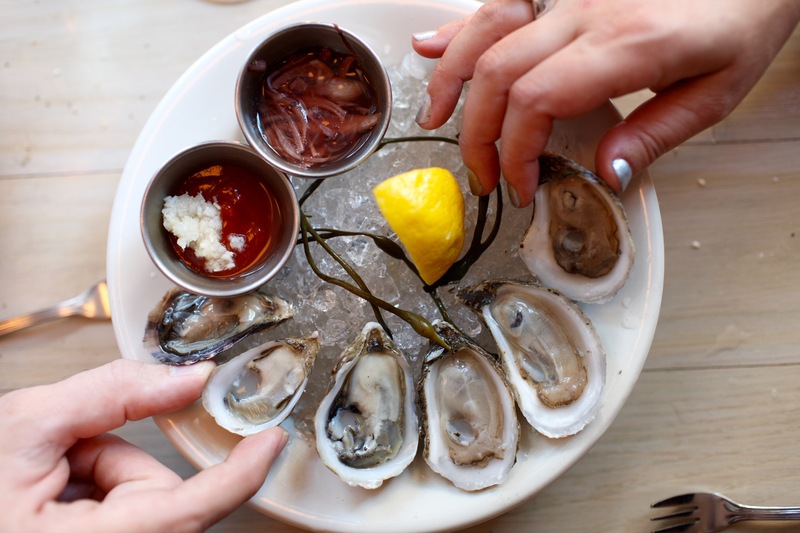 Oyster happy hour is a must! I’ve previously mentioned how well seafood goes with a martini, especially the simplistically delicate oyster, so a bar/restaurant that specialises in briny goodness was always going to get me excited. However, I’ve got to focus on the martini and not get too ahead of myself. Using my martini rating scale I award this bar and restaurant very high points: 4.5 out of 5. I ordered a hot and dirty martini (vodka, olive brine, Tabasco sauce with a crunchy, fresh and bright red peppadew garnish). 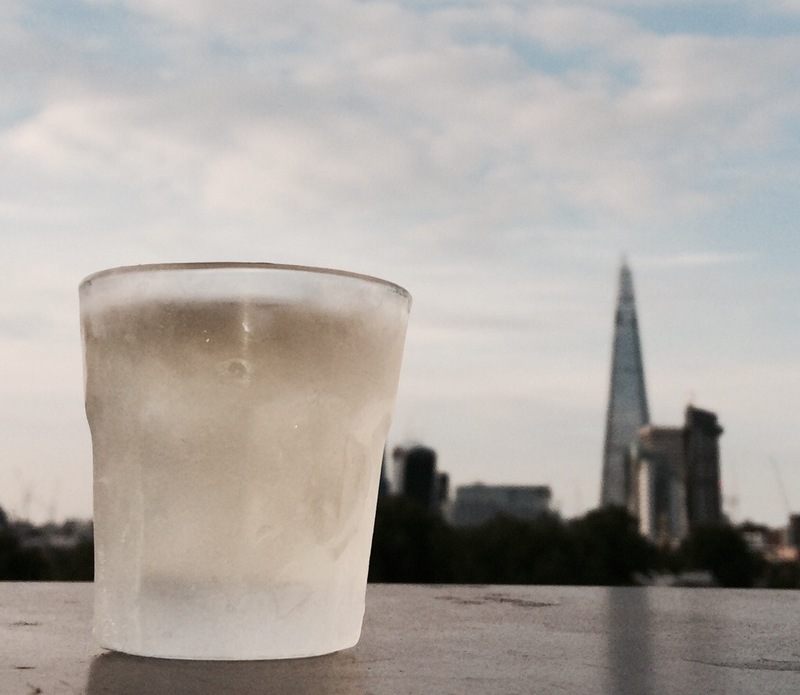 It was ice cold, salty and fiery – a perfect tongue-tantalising aperitif. 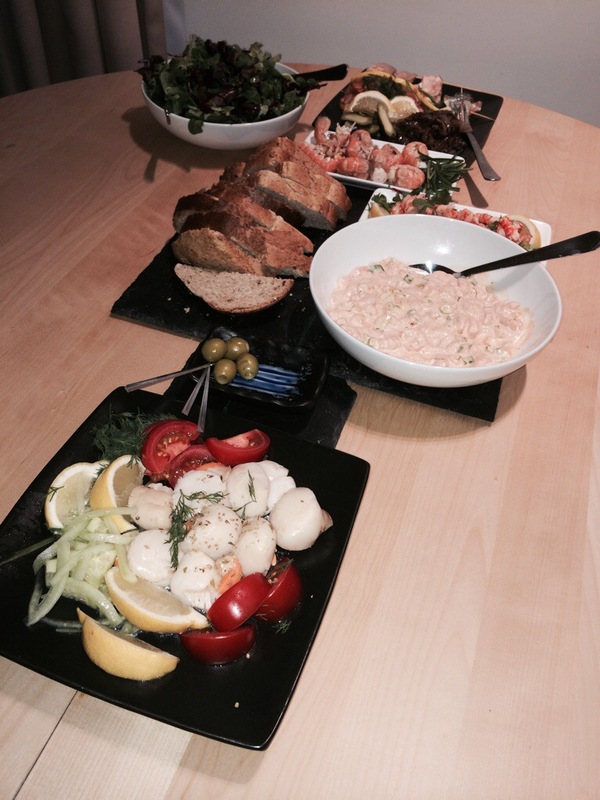 The service was fast, attentive and the staff were passionate about the food and drinks. The setting was intimate, clean and unpretentious. 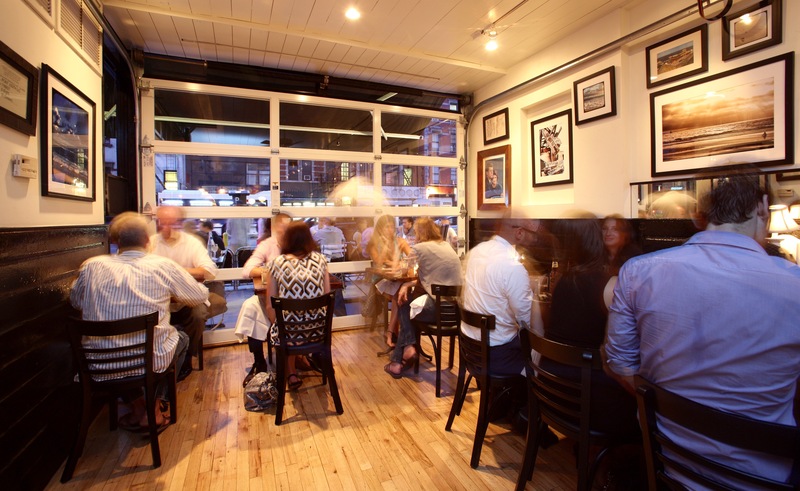 And finally, the food is fantastic with a wide variety of seasonal oysters as well as a range of sustainably sourced seafood. It’s ideal for a light bite or a more substantial meal. 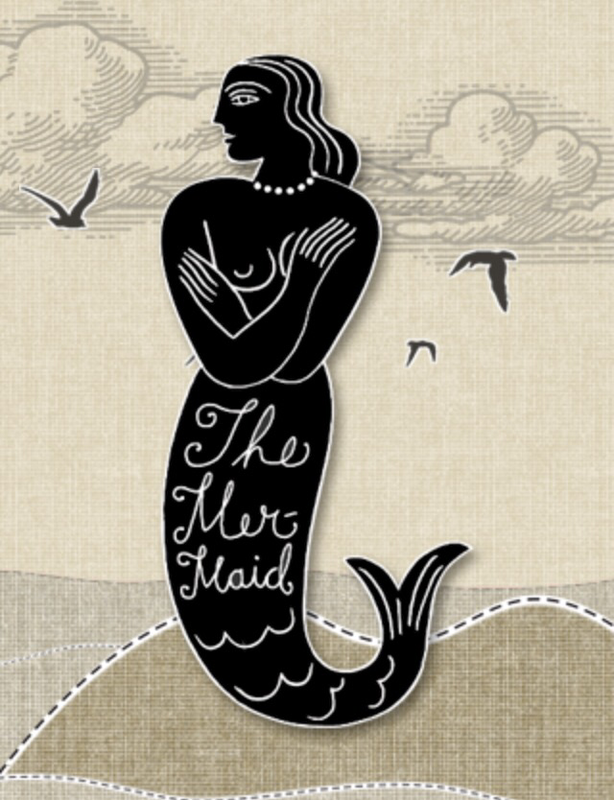 The only thing I would recommend to the Mermaid Inn is that the management make more of their martinis on the menu. 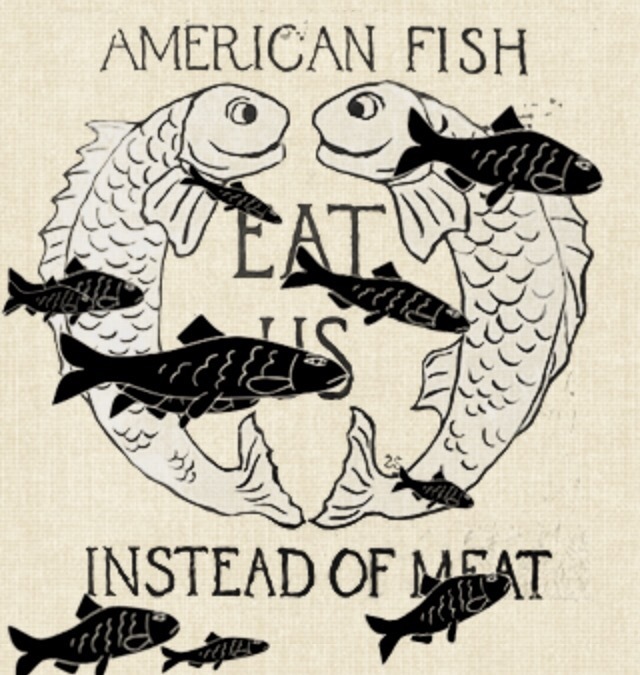 The restaurant does them so well I think they should promote them more prominently. 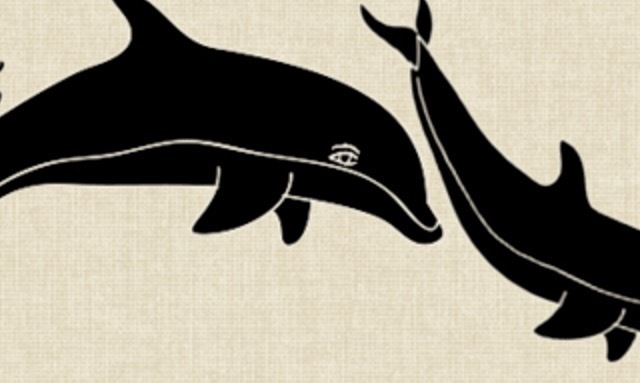 I really can’t fault them in any other way. Basically to sum up my experience, If I died suddenly and my life flashed before my eyes I hope I would linger here for just a little while en route to the next level. 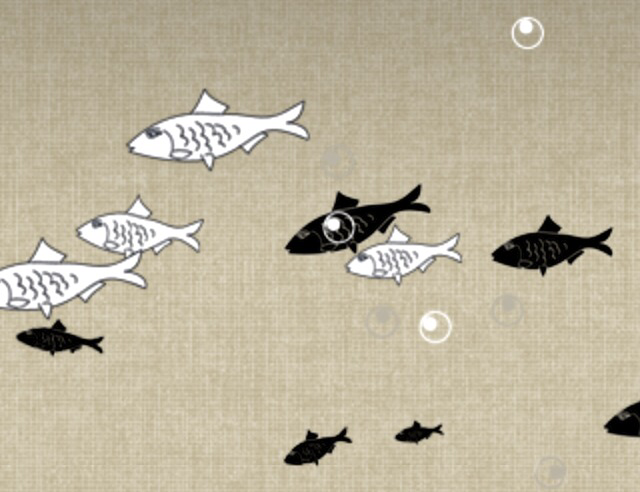 And I hope the next level has oyster happy hour too. Don’t forget to download their useful app Oysterpedia! 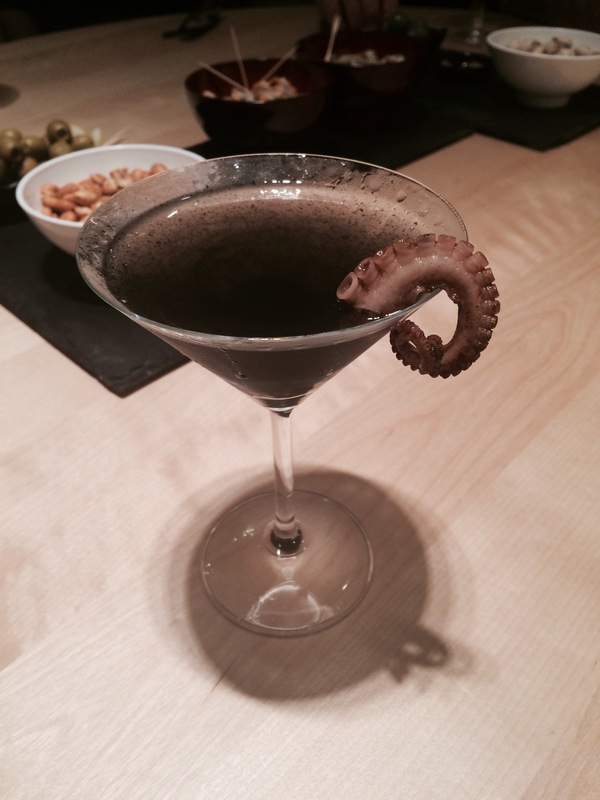 Add squid ink and octopus tentacle soaked in balsamic vinegar to make an unusual variation of a dirty martini and Le Jacques Coustini. Boiled octopus tentacle (other seafood garnishes such as langoustine can be used as a substitute if desired). 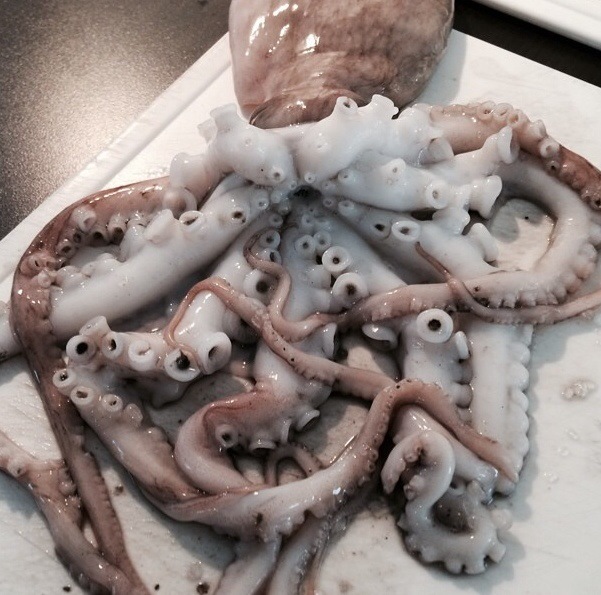 The octopus tentacle can be prepared from frozen as well as fresh. 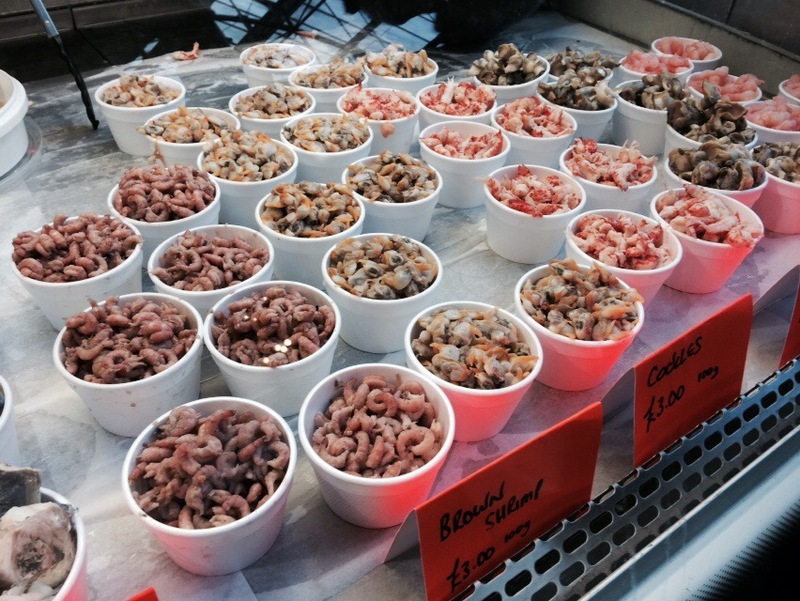 First of all, I went to Borough Market, which pretty much supplies everything you need for a martini. 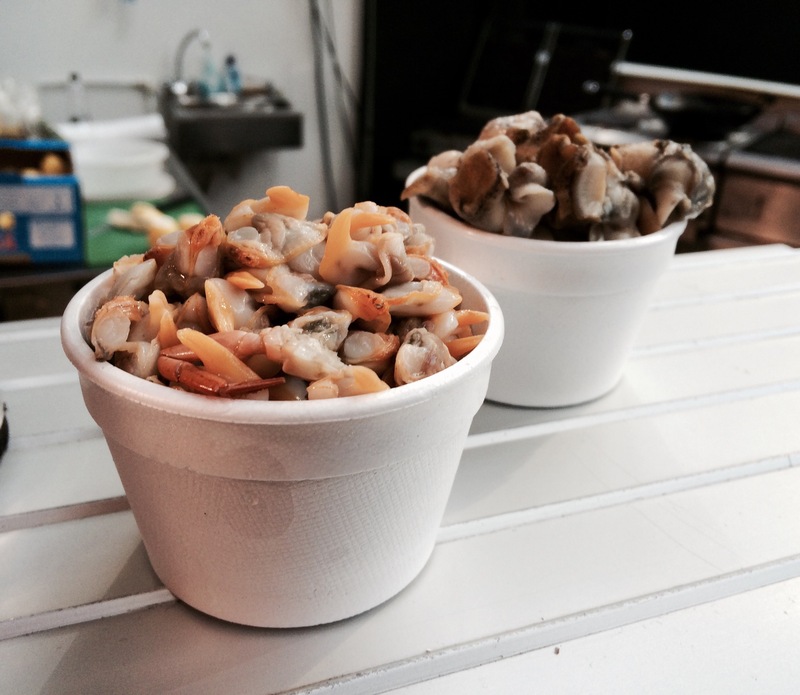 I bought whelks and cockles as an unusual accompanying snack. 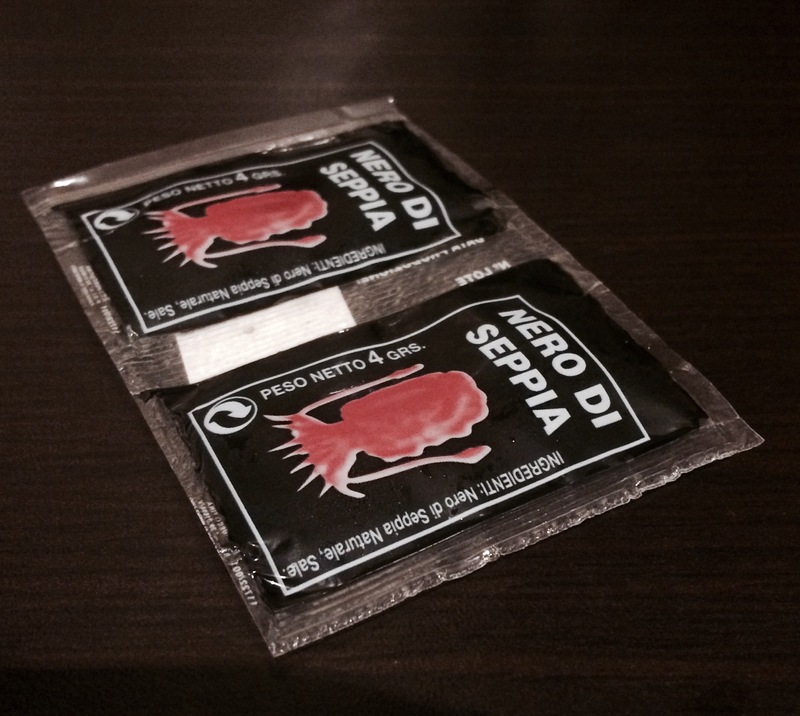 I also bought some squid ink. When I got home I took some cooked octopus tentacles out of the freezer and soaked them in balsamic vinegar for several hours. There’s all sorts of weird and wonderful stuff in my freezer – here’s why. You only need to soak the octopus for enough time for it to defrost but after 4 hours it will have absorbed a lot of flavour which is good. You could also soak it in a slightly japanese marinade combining balsamic vinegar and sweet mirin, of around 4 parts vinegar to 1 part mirin. 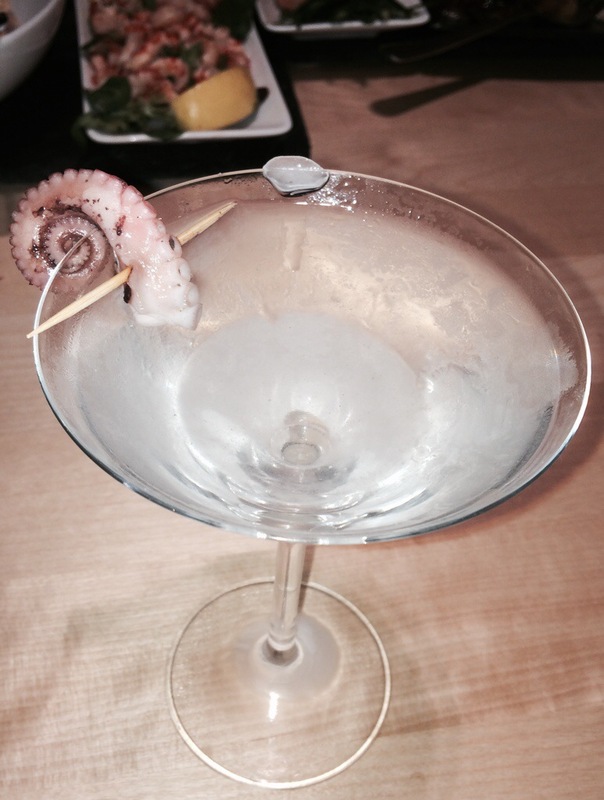 Remove the octopus pieces and pierce them with toothpicks (unless you want them to appear au naturale draped over the rim of your glass). 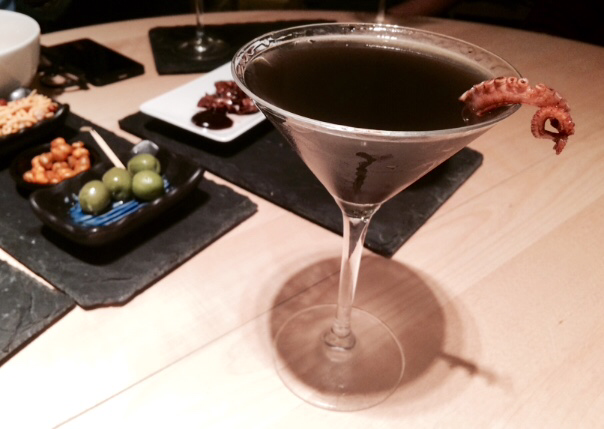 When drink o’clock arrives open the olives and pour some of the brine into a glass. Serve the olives to your guest(s). 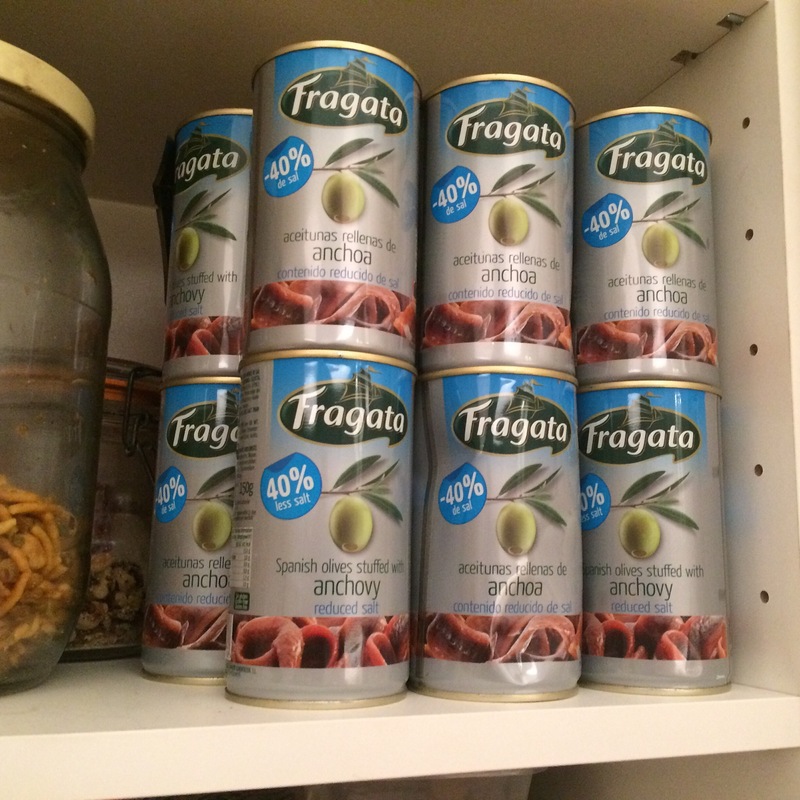 I use Fragata tinned olives stuffed with anchovies, because (a) the fish continues the maritime theme and (b) they taste amazeballs. The brine is also very good. 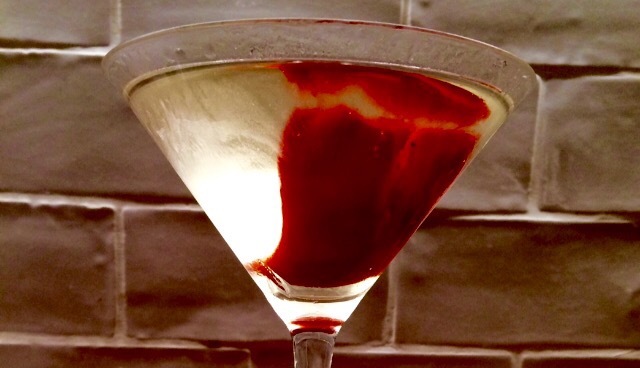 For each martini you intend to make transfer 4 teaspoons of the brine into a separate glass. 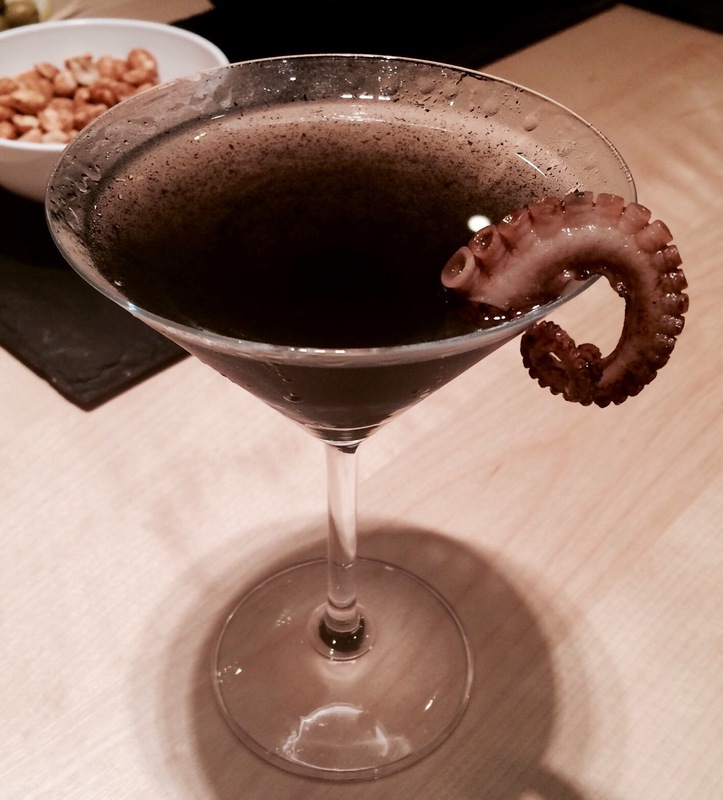 Into this glass squeeze about half a teaspoon of squid ink per martini and muddle it until it has broken into small globules. This is your brine and ink mixture to flavour and colour the martini. If I think back to chemistry class this might be called an emulsion but martinis have made me forget and I would have to defer to someone with superior knowledge. In a chilled martini glass pour the brine and ink mixture (as above, 4 teaspoons of brine and half a teaspoon of ink per martini). Add a dash of vermouth (or to taste) then stir. Add 4-5 measures of gin or vodka then stir. 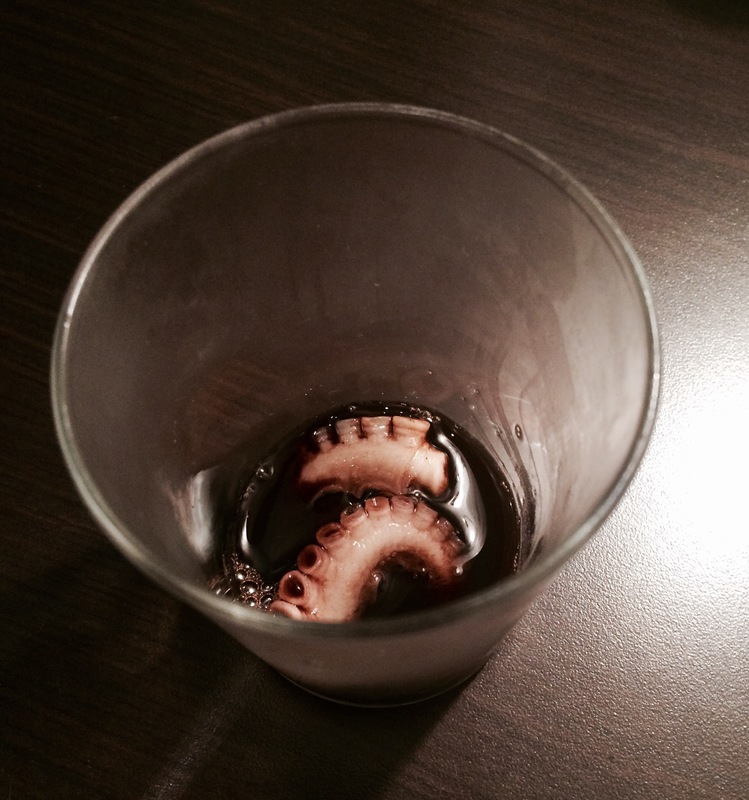 Rinse the vinegar off the octopus tentacle and balance it on the edge of the glass. 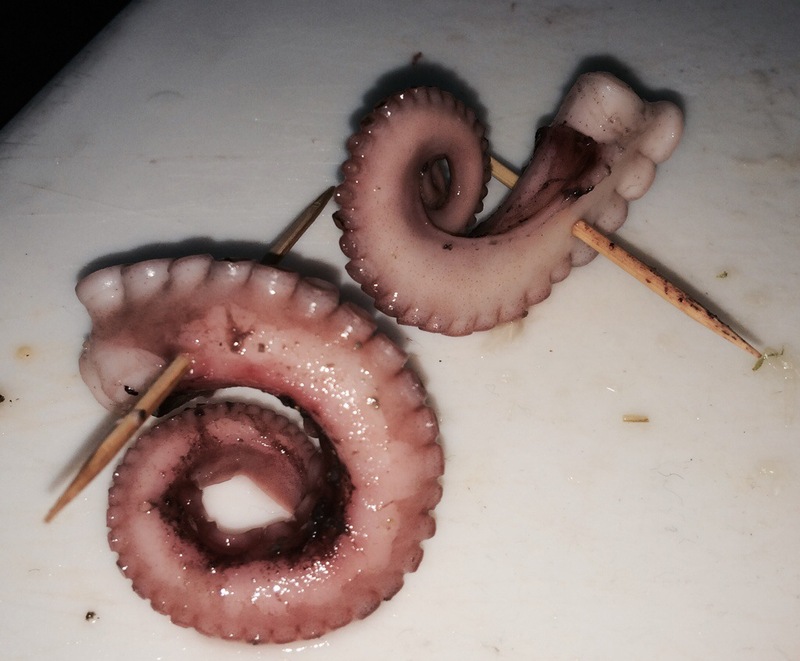 You can serve additional octopus tentacles with toothpicks as appetisers. And there you go, it looks like some frightful creature crawling out from the deep of the black lagoon but I promise you it tastes nice. 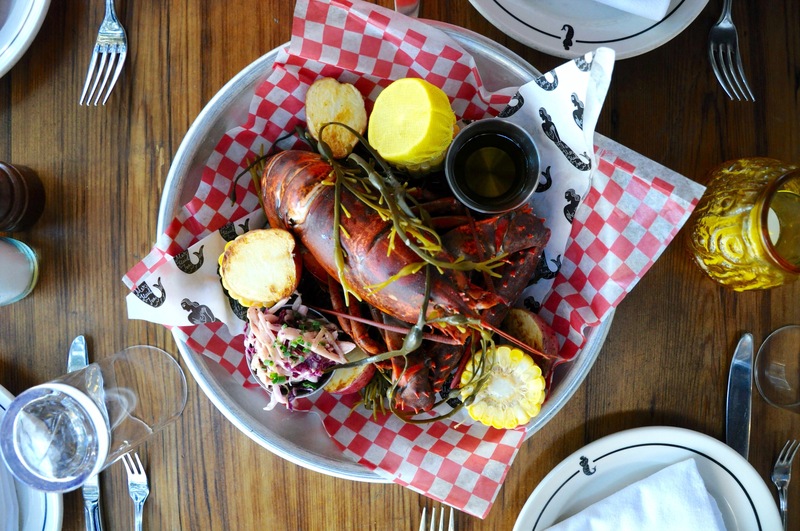 The brine and seafood will hopefully set off your appetite before a meal. Given its appearance it might be a good drink to serve during Halloween, or if you’re having a James Bond theme party. Add more brine if you like your martini dirty. 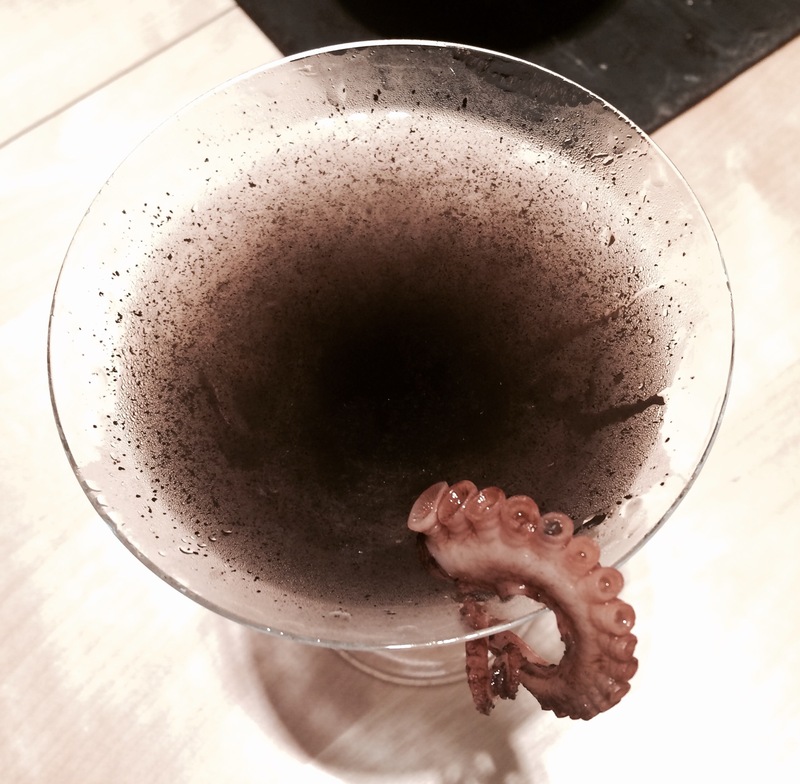 If you prefer your martini ‘clean’ you can simply make a classic martini and serve the octopus as a garnish. Voila. Fit for a Bond villain. If you have any other potential name suggestions for this one let me know in the comments below. 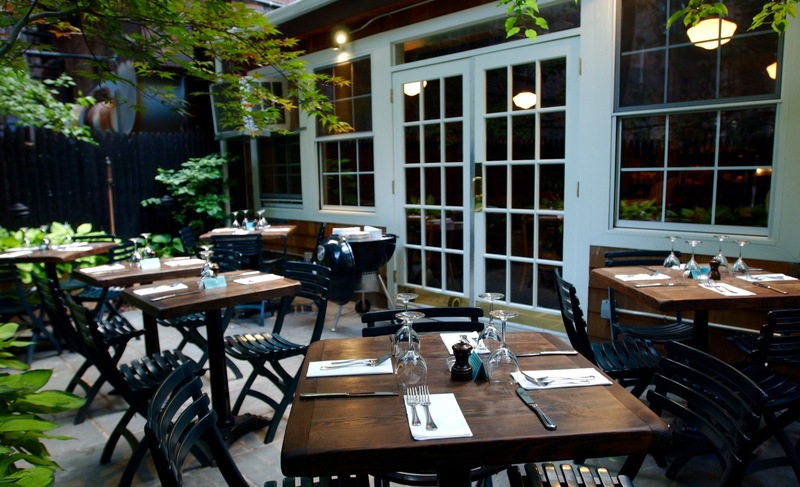 For mid-summer I like to gather friends in the evening for seafood and drinks as the sun slowly sets. Akvavit normally features strongly in the blueprints for the night but before I served the food I wanted at least one martini as an aperitif. For a seafood theme I made a slight alteration to a classic gin martini, adding a dash of olive brine for a sea salty hint. 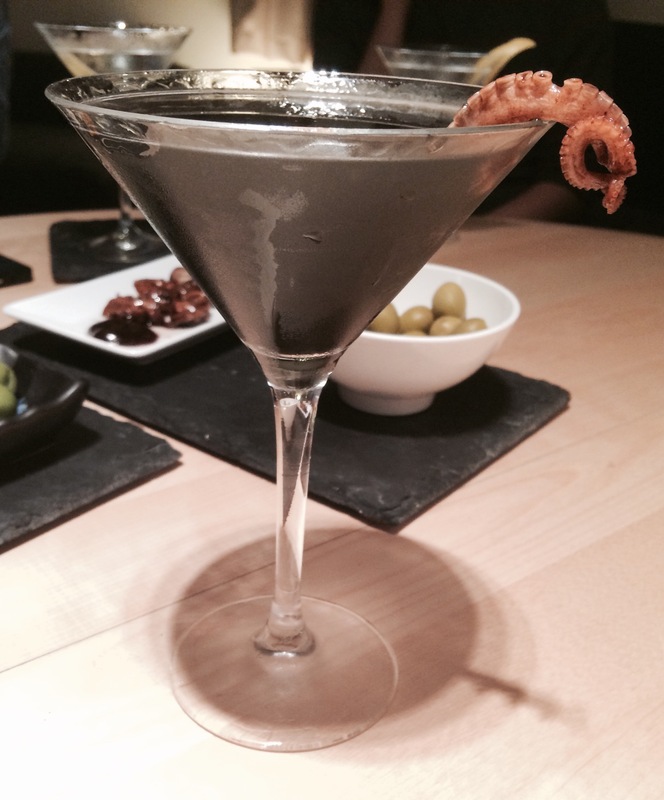 Real salty sea dogs might want to make it a full blown dirty martini for that briny flavour. 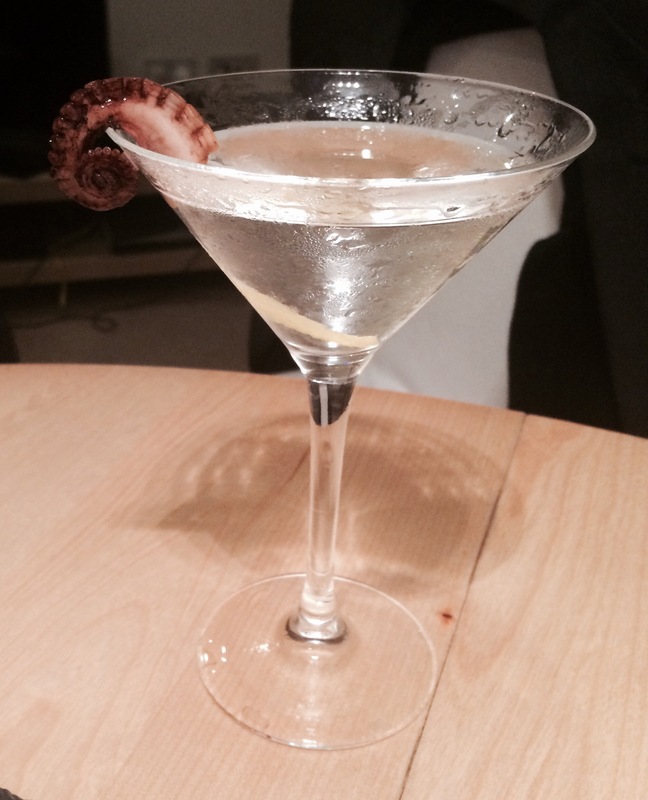 I also garnished the glass with some octopus tentacles I boiled and chilled earlier. Once that was consumed it was on to the food: seared scallops, grilled langoustine, prawn cocktail, baby crayfish tails, salad and brown bread. 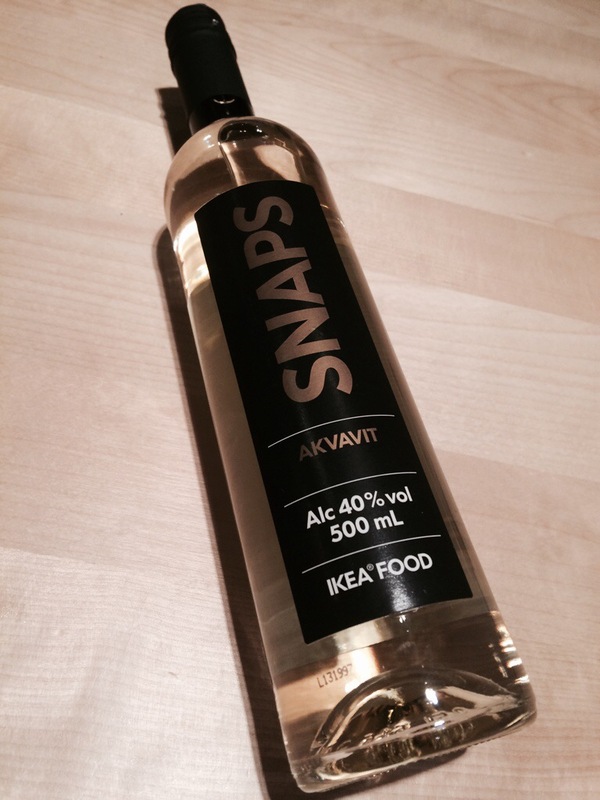 And then there was akvavit. Lots of akvavit. 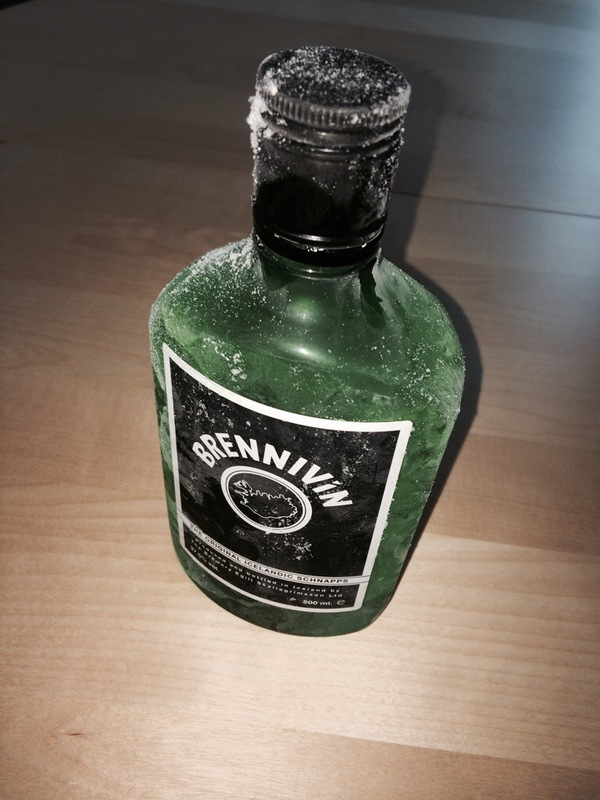 And Icelandic Brennivin. I found some of that in the freezer too.